The book accompanies an exhibition by the same name at the Vitra Design Museum in Weil am Rhein, Germany, which ran until 22 January 2017 (and is due to tour later) – the first comprehensive retrospective of the designer’s work in Europe. 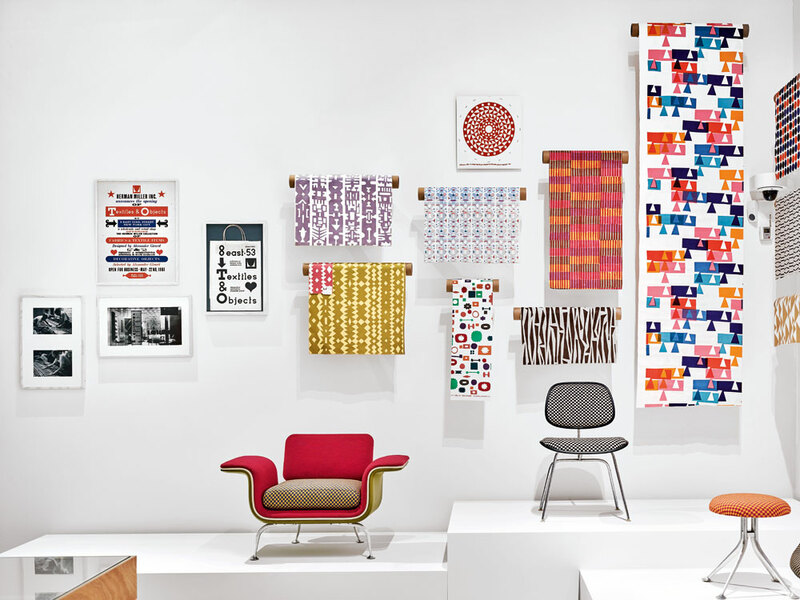 Ripe with Girard’s energy and exuberance, the book reflects his incredible cross-disciplinary practice, his collections and curatorial work, and explores the network of art and design legends with whom he collaborated – Charles and Ray Eames, D. J. De Pree, George Nelson, Eero Saarinen, Rudi Gernreich, Saul Steinberg and Georgia O’Keeffe, to name a few. 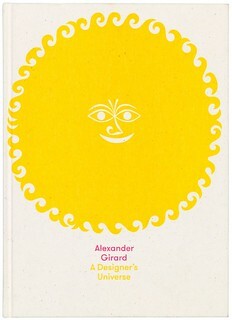 Cover of Alexander Girard: A Designer’s Universe, designed by Brighten the Corners, featuring a sun motif from Girard’s Old Sun environmental enrichment panel for Herman Miller, 1971. Top: Installation image at Vitra Design Museum. Photo: Mark Niedermann, 2016. 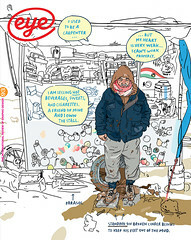 A Designer’s Universe continues with essays by experts in their field, each dedicated to a different aspect of Girard’s practice – Susan Brown looks at his textiles; Monica Obniski at Girard’s 1949 curation of ‘An Exhibition for Modern Living’ at the Detroit Institute of Arts; Barbara Hauss writes about ‘Designing for Dining’; Alexandra Lange about Girard’s time in Columbus, Indiana, and Jonathan Olivares contributes ‘The World of Things’. The array of disciplines Girard practised and the sheer volume of his output make summing up his contribution to design a challenging task. Each writer successfully critiques and assesses a facet of Girard’s design practice, showing thorough research that contextualises his work within the wider fields of textile design, interior design, architecture or corporate design. Sadly, however, there is no essay that focuses on his graphic design and typography, even though this is recognised by Eisenbrand as the ‘connecting element that influenced every aspect of the project’. This gap is partly filled by a detailed, illustrated timeline for each area of Girard’s practice. This incorporates a small selection of his graphics – for Hermann Miller’s concept store Textiles & Objects in the early 1960s; exhibition posters for ‘African Fabrics’ at the Museum of International Folk Art in Sante Fe (1974) and ‘The Magic of the People’ at HemisFair in Texas (1968); and his identity design for Braniff International. What further redeems this omission is the book’s visual essay, designed by Billy Kiosoglou and Frank Philippin from the studio Brighten the Corners (who also designed the book), which draws visual parallels between Girard’s work and the objects from his collection. There is no chronological or thematic organisational system but something more organic – a petroglyph in Arizona next to the 1971 ‘Snake’ environmental enrichment panel; matchbooks from Girard’s total design of the New York restaurant La Fonda del Sol next to a page in Girard’s childhood notebook, dated 1918-24, showing stamp designs for his imaginary realm the Republic of Fife; a mid-1930s pencil drawing of canisters for dry goods alongside a slick illustration of a brightly coloured aircraft and service vehicles emblazoned with the Braniff International ‘BI’ logo, 1965. These pairings cross borders, disciplines and materials but show the objects’ commonalities whether in colour palette, form or subject matter. This section trains the eye to Girard’s deep curiosity and interest in all things, regardless of their artistic worth. As Eisenbrand writes, for Girard, ‘nothing was too small or irrelevant’.